My son is going to be a junior in high school next year. I can hardly believe it, where did the time go? Now when I can grab a lunch date with this guy- my day is immediately better. 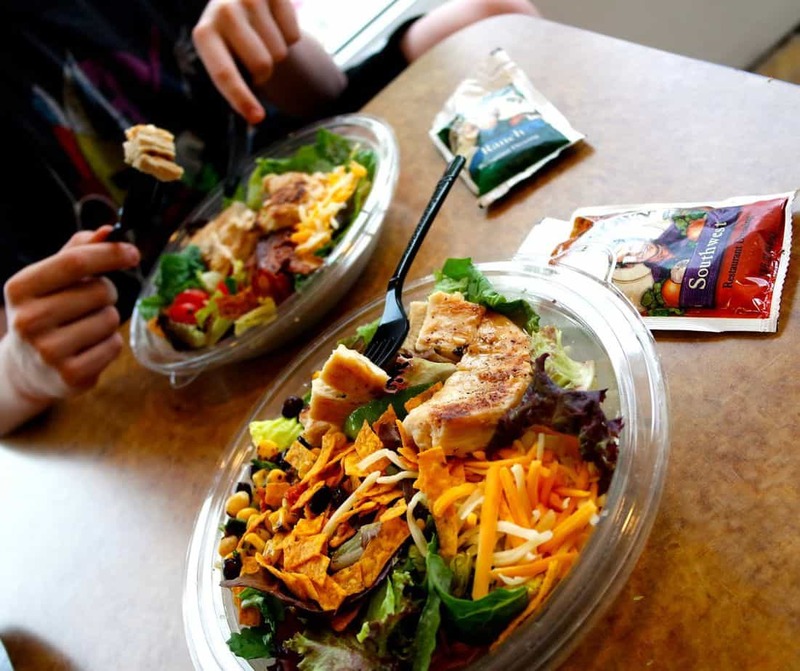 We love to grab a quick and healthy meal at McDonald’s enjoying a few of their delicious salad choices. This past week we head a moment to catch up in between his finals for the year and we had an awesome lunch. 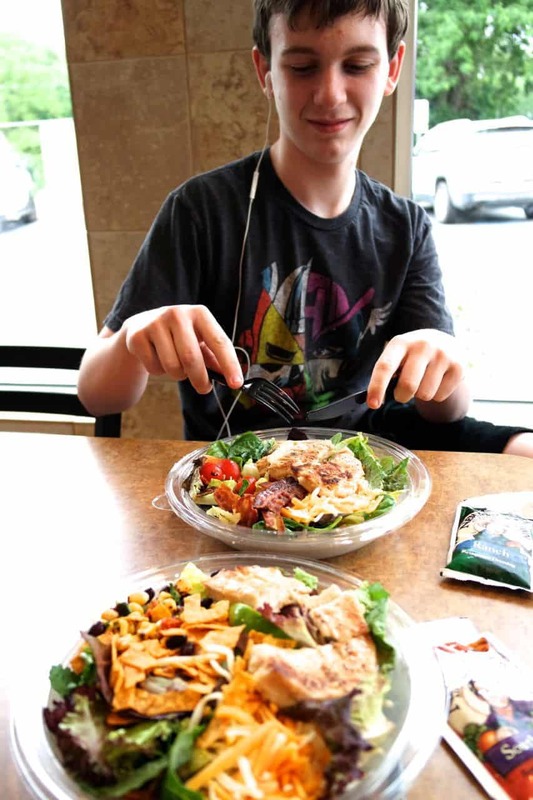 We each got a premium salad and talked about what his summer plans are and what he needs to do to get through his exams. I ordered a Grilled Chicken Bacon Ranch Salad and he had a Grilled Chicken Southwest Salad. 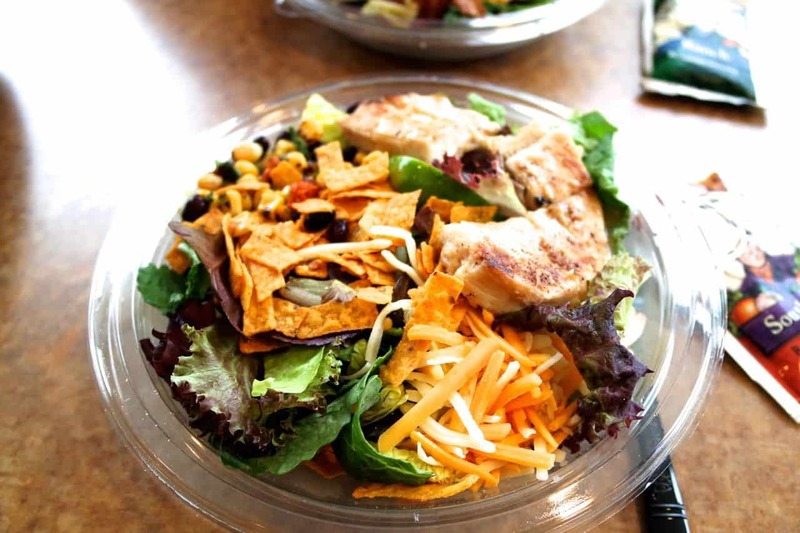 All of the ingredients were fresh and crisp and topped with a zesty piece of grilled chicken. 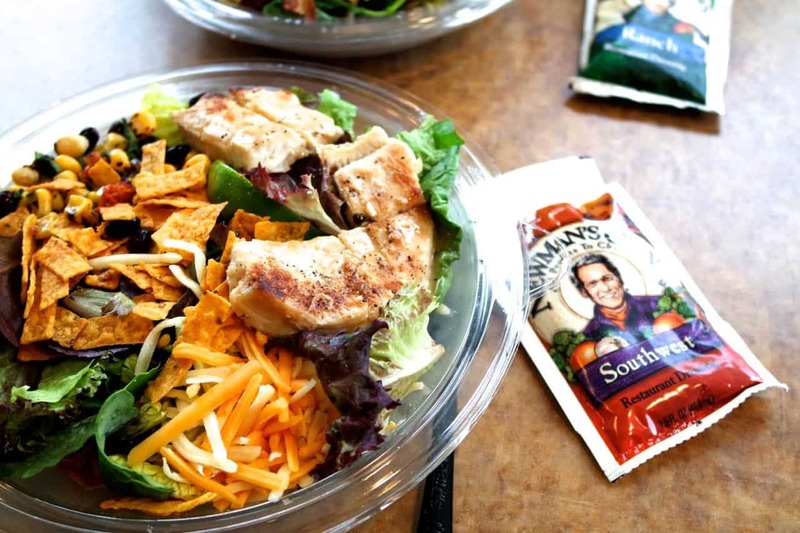 The salad dressings are Newman’s Own and are the perfect accompaniment to the salad. McDonald’s has replaced the iceberg lettuce with fresh romaine, baby spinach, baby kale, Tuscan red leaf lettuce and ribbon-cut carrot curls which offers 2.5 cups of vegetables. We chose to have our chicken grilled but you could also choose to have Buttermilk Crispy Chicken as well. This chicken recipe was introduced in 2015 and is made with 100% chicken breast filet, real buttermilk and a blend of spices including black pepper, garlic and onion powder. A delicious alternative to a grilled chicken breast. We had such a great lunch. Talking and catching up- well maybe me pestering him with questions while he had one ear bud in! But it still was a nice way to catch up with my baby. I can feel good going to McDonald’s because over the course of the past two years they have made a significant change in how they as a company source, prepare and evolves its food into nearly half of their menu options offered nationwide. Did you know that McDonald’s has it’s own Mobile App? 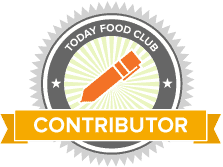 You can download this app for great deals, information on sweepstakes, and more. I am just thankful this kid still has time for his Momma. I could picture him sitting across from me at McDonald’s ten years earlier enjoying his Happy Meal. McDonald’s has certainly been with us over the course of the years from desserts after concerts to meals before soccer. They will continue to be a go-to for family meals.